» Masjid Carpet manufacturers, suppliers exporters in Malaysia. 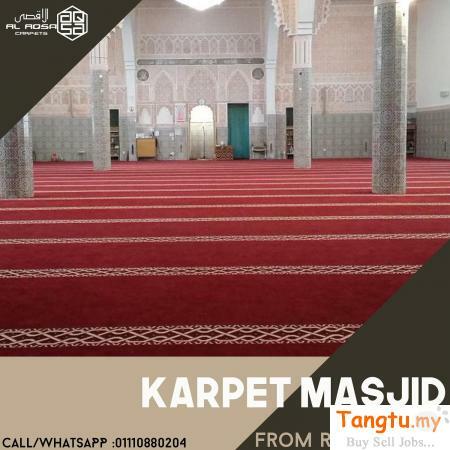 Masjid Carpet manufacturers, suppliers exporters in Malaysia. Our company holds vast experience in this domain and is involved in offering Mosque Floor Carpet.These carpet are provided in various different colors, prints and patterns. This Mosque Carpet is valued amongst our customers due to its features like vibrant colors and alluring design. Our precious clients can avail these products at economical prices. The offered prayer carpets are specially designed for use at religious places.